Today’s endangered animal is actually listed as vulnerable but conservationists are pleading that the cheetah be put on the IUCN (International Union for Conservation of Nature) Red list because their population is declining rapidly. There are only about 7,100 cheetahs left in the wild. Why is their population declining? If you guessed humans, you’d be correct. Cheetahs have it a bit worse off than other animals because humans are essentially attacking them from all sides. Their range, which used to be all of Africa and Asia has been reduced to a handful of countries: Angola, Namibia, Zimbabwe, Botswana, South Africa and Mozambique. In Iran, there are as few as 50 individuals. Humans drive the cheetahs away when they come and invade the land and turn it into agricultural crop. Agricultural crop means lots of livestock. Cheetahs eat livestock. Humans don’t like cheetahs eating their livestock. Solution? Humans kill the cheetahs. So backwards right? They are also hunted for their skin and their meat. These big cats also have a hard time surviving in close quarters. It’s a challenge for conservationists to protect them because they need to roam. It’s in their genetic makeup. I mean they can run up to 70 mph so an enclosed circle will only drive them nuts. If you ever go to the zoo and see a cheetah pacing, this is why. Conservationists hope that IUCN doesn’t wait too long to list the cheetah as endangered. If the cheetah is added to the list, it will open up funds. that are only available to endangered species to aid African governments in creating conservation programs. In the meantime, it is possible for you to help. 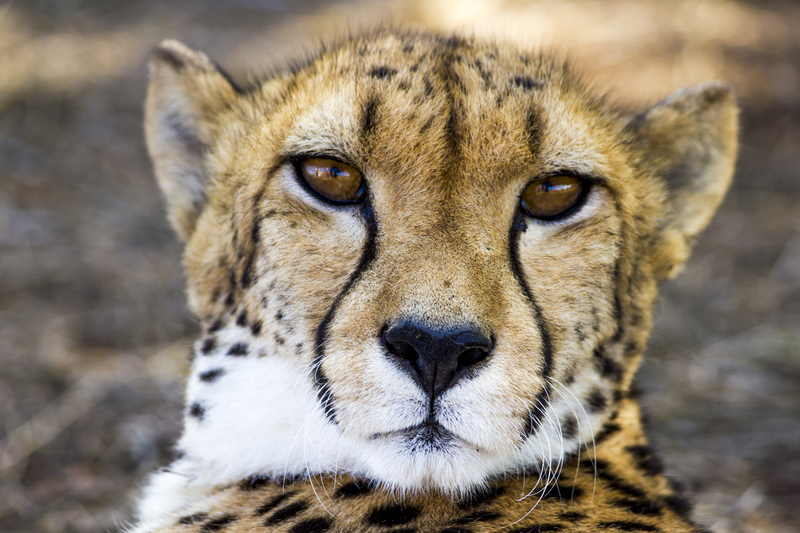 Check out WWF’s Adopt a Cheetah program here. As an aside, and to hopefully make you smile, I chose the cheetah today because of a meme that appeared in my Facebook memories. Enjoy the meme and, as always, spread awareness. Every little bit counts. I get so upset when I read and watch animals like this being poached or killed unnecessarily. If only they had adequate habitat far from people. Agreed. 😦 Hopefully they can get some decent help soon before their population gets too small! LOL! I imagined the eye roll too right before they stalk away to find said zebra! 😂😂😂😂 Now that is a funny thought!! They must have good senses of humour huh! Isn’t it?? It appeared in a Facebook memory from 4 years ago and I was like huh, this is still hilarious 4 years later! hahaha oh I’m so sorry I didn’t say something more profound 😉 Ooh exciting!! I enjoyed and learned from this post. Thanks. People will never learn. Always hunting for pleasure instead of a true or real purpose. That is a very big reduction in population. Indeed. Check back next Thursday for a new animal!